Forget the winter blues, we're heading to the beach in Tulum #onGWS! 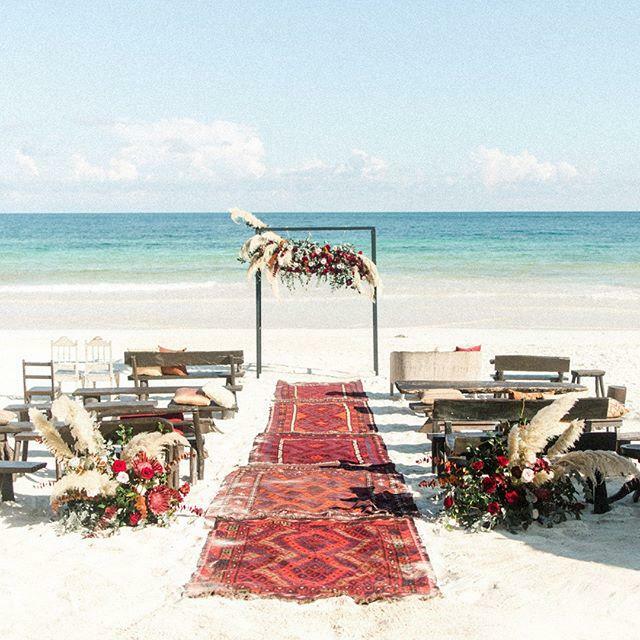 You probably already know how much we ADORE pampas grass…but with the addition of the rugs down the aisle and on the sand in front of the bluest water—it's pure GOLD! This is such a luxe yet relaxed bohemian look and we wouldn’t change a thing about it. See more with the link in our bio!